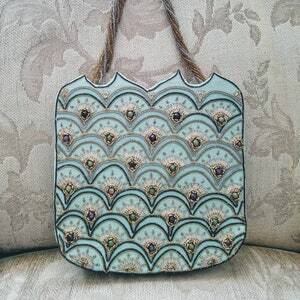 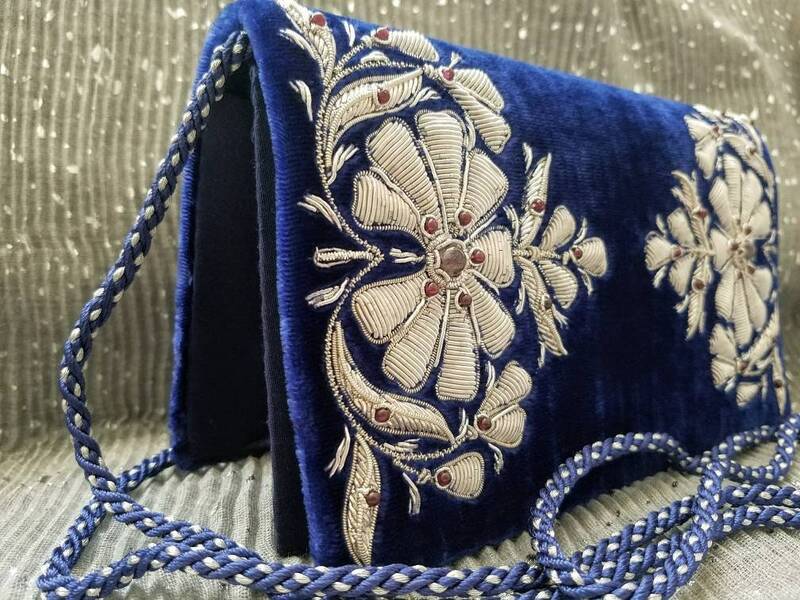 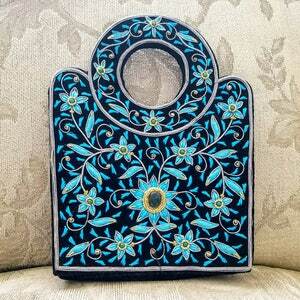 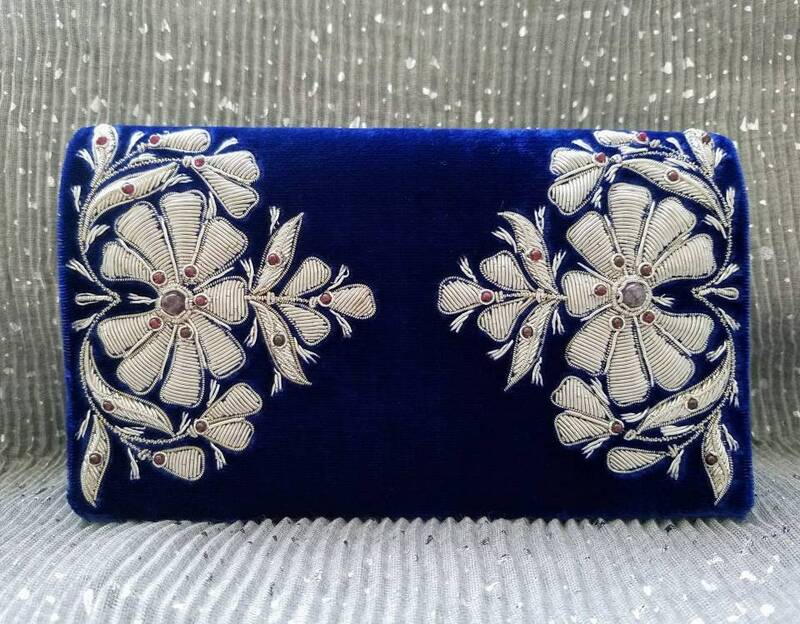 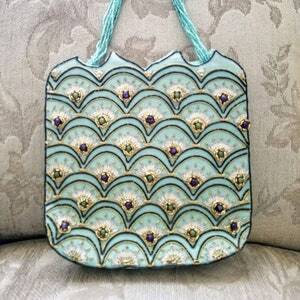 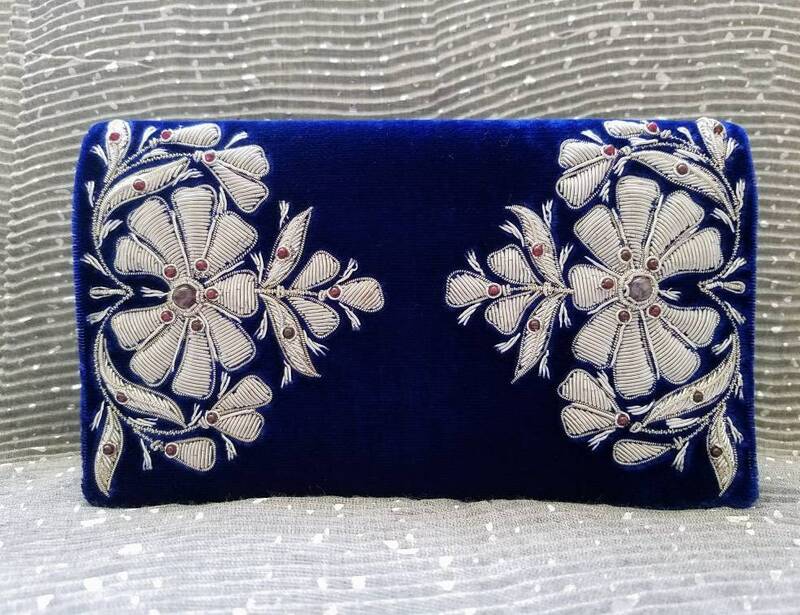 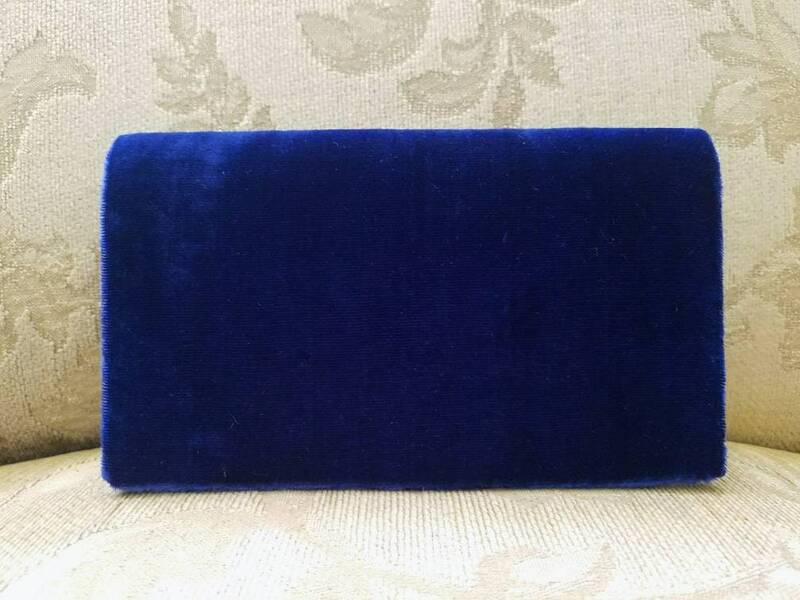 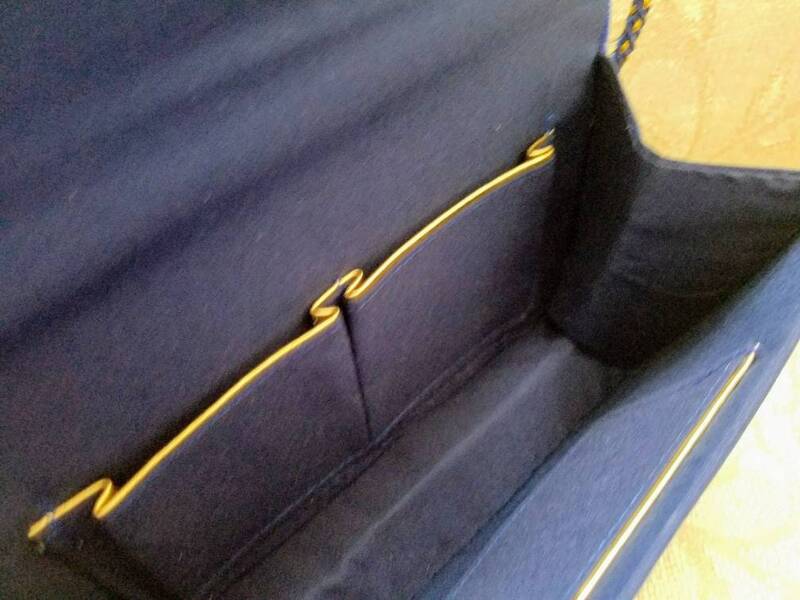 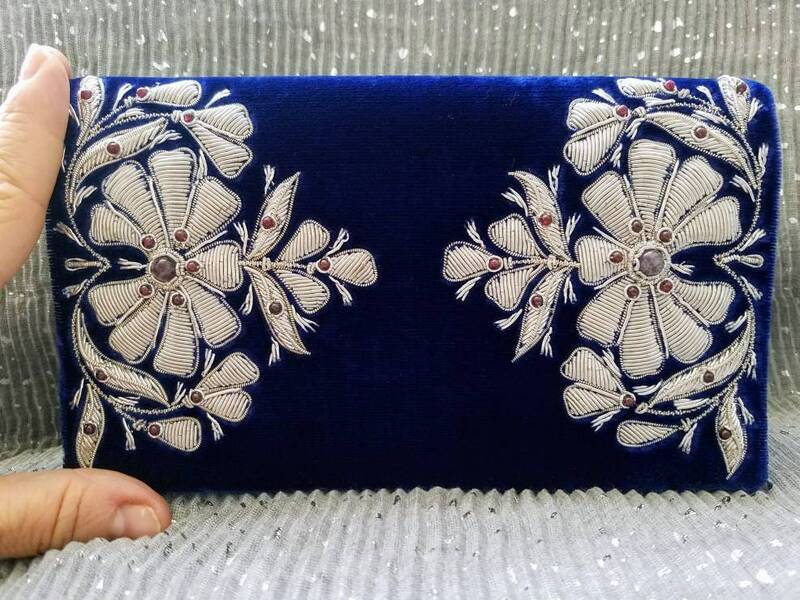 Hand embroidered blue velvet clutch, using silver colored metallic threads, in the zardozi tradition. 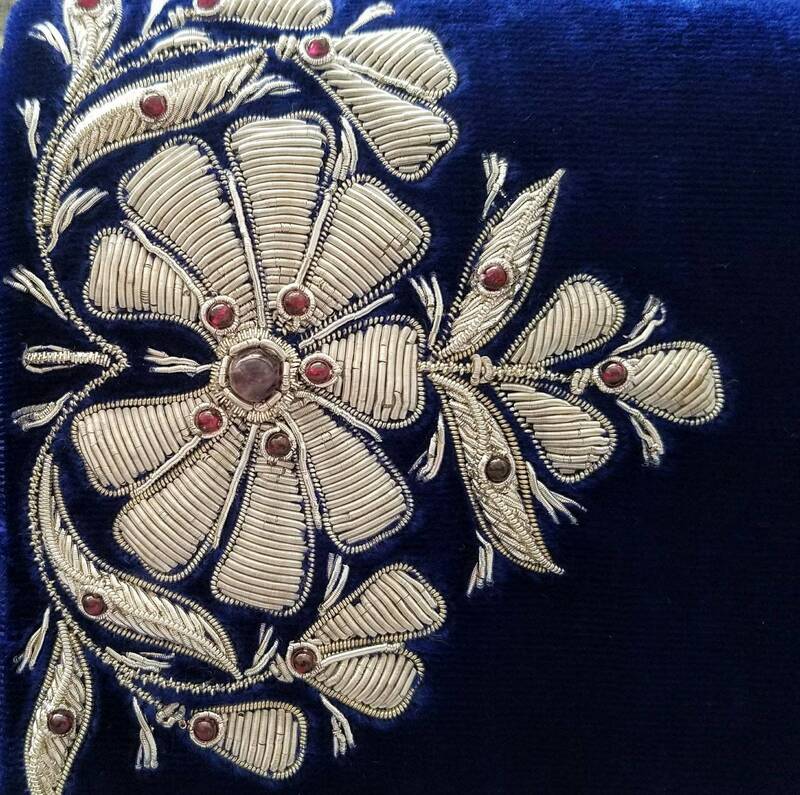 Genuine semi-precious polished amethyst stone beads sewn into the center of each flower. 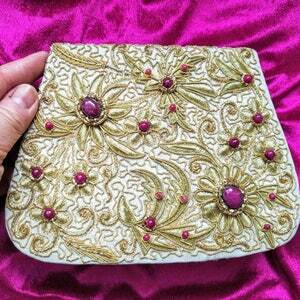 Red agate accents, giving a 3D effect.